What is Bluetooth for the Mini? BMW Has TWO Bluetooth solutions for the Mini Cooper. 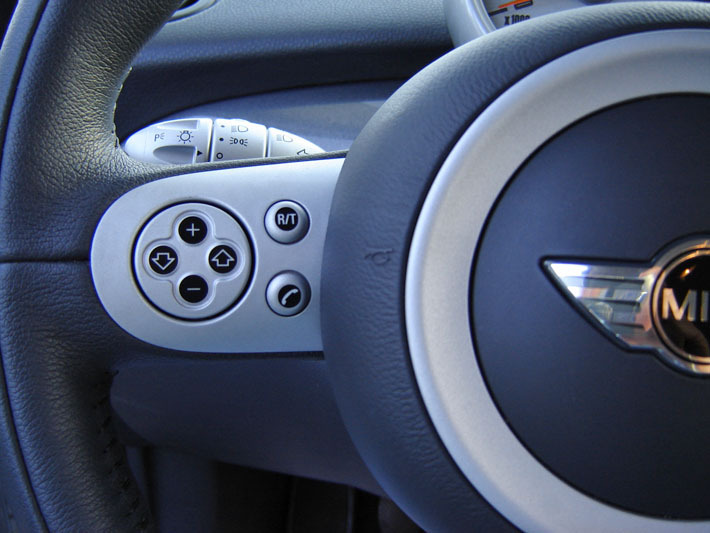 One option Nav Mini for Minis equipped with the Multifunctional Steering wheel and Navigation and the second option for Mini Cooper & S (equipped with Harmon Kardon built since 09/03 and without Harmon Kardon built since 03/02). The non-nav option can be used in Minis with Navigation but you will not see any information ont eh navigation display or be able to use the steering wheel controls to operate. The version for cars with navigation is much more integrated into your Mini displaying phone specific information on your navigation display and operates via the multifunctional steering wheel controls. The trade off is the price. The navigation only version is fully integrated into your Mini although cost a bit more. We much prefer the full integration, but the ultimate choice would be yours. The below information talks about BMW, but the Mini with navigation system is identical to the BMW system. The nice thing about Bluetooth is you do not need to physically connect your cellular phone to your Mini. You can keep your phone in your pocket or purse and still use all of the functions. Any of the pictures showing the cellphone phone in a cradle are just illustrating the optional charging and the boosting of your cellular phone antenna using the optional Snap in adapters. 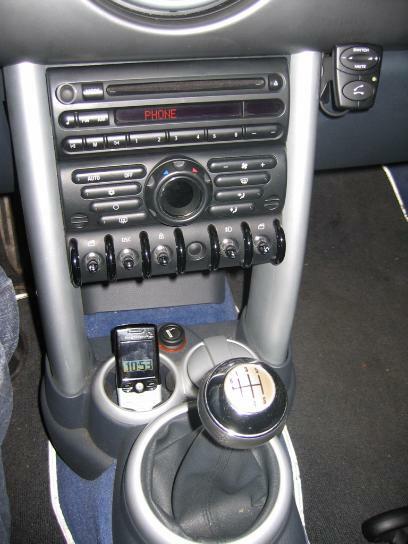 With the Mini navigation bluetooth system system you can use the Mini steering wheel and Navigation controls to navigate your cellular phone phonebook, dial numbers, increase volume, etc. The system also allows for the voice control of your cellular phone, voice control of your navigation system and notepad (to save a message to yourself for later replay). The system operates just as a factory installed phone would operate in a BMW with the added benefit of voice recognition and voice control of phone and navigation. NOTE: Our Bluetooth Kits come with the latest Generation BMW ULF modules Available as shown in the BMW Compatibility matrix (and NOT the problematic first generation 84 21 954 552 others are selling, Be careful on getting older ULF modules as some people have had difficulties and incompatibilities with the old first generation ULF modules. Why use Our Bluetooth Solution? Detailed Installations instructions will ship with your kit. The Min Nav bluetooth kit will function as a standard BMW phone system, in US English, UK English, Spanish, French, Italian, German and Portuguese based upon the language of your Mini. 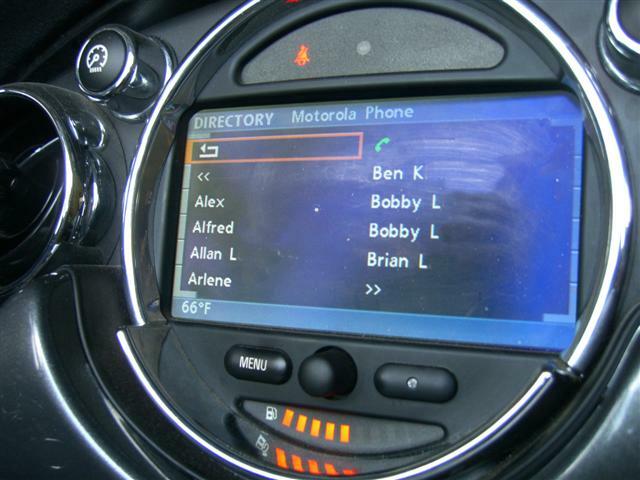 The below photos show the Mini Navigation system functioning. The non-nav version is operated by voice control and a separate keypad. With the Non-Nav bluetooth system you will not see anything on the radio display or nav display. 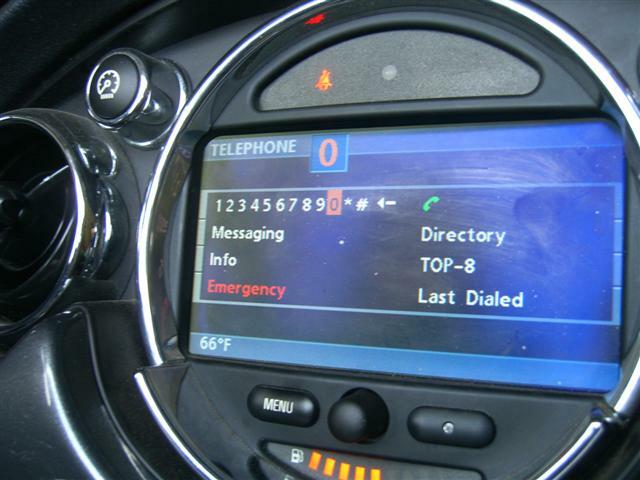 Only the Mini Nav version system will show your telephone phonebook ect.